Get OS X expose and Multiple Virtual Desktop like Features in Windows. Mission Control is one of Mac's most talked features, with Mission Control feature you can look all windows that you started at one time on your Desktop. If you are Windows user, you will not find this feature in your Windows Computer. 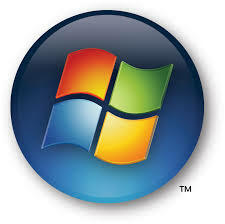 But there are many third party software that can bring these features in a Window PC. 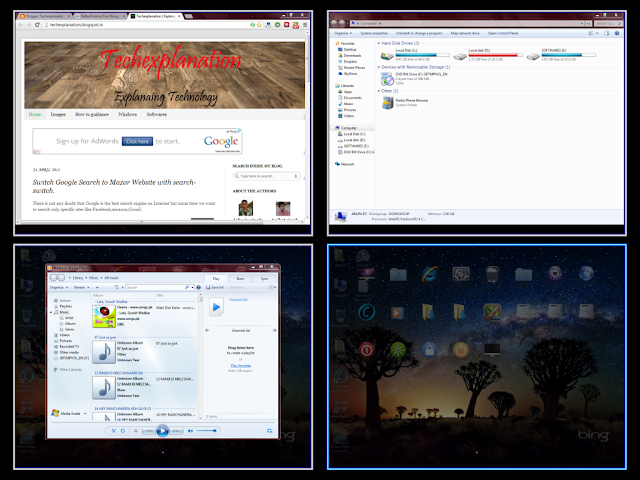 BetterDesktopTool is software for those windows user's who want these features in there Windows PC. 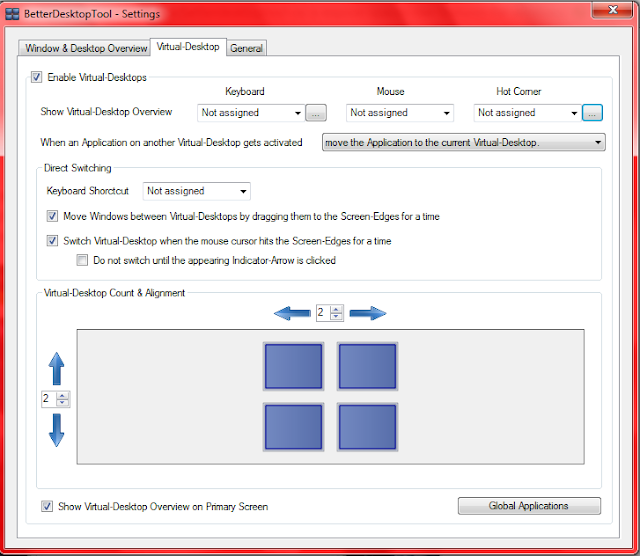 BetterDesktopTool is a small and user-friendly software. This software is easy to use only. After installing, You will get a icon in your system tray. You can right click on the icon to perform many tasks . If you do not like to use Keyboard shortcuts so you can use this right click to perform all task of this software. You can Enable or Disable this software from the right click Menu. When you choose the ‘Virtual Desktop Overview’, The software show you the Image of current virtual Desktop. If you click on any image the software get you to that virtual desktop. You can customize software according to you with th settings window of BetterDesktopTool. There are three ways to access Desktop overview feature first with keyboard second with mouse button and third with hot corners. You set shortcut keys according to you. You can use middle button of mouse if you do not have extra buttons in your mouse. If you use Hot corner feature so you just need to get your mouse in your selected corner. 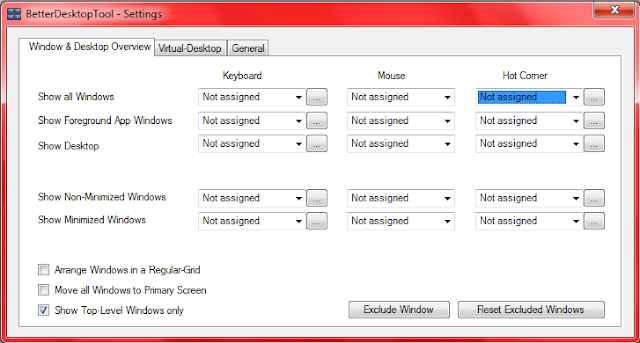 The middle tab of settings window you will find "Virtual-Desktop" settings. Here is also three types for activating the feature. The software also give you control of how many virtual desktop you want. You can increase or decrease the numbers of virtual Desktop with vertical and horizontal counters at the bottom. If you Like the post so Shar it.